Katie Spencer (Heather Tom) has spent her entire life — and a good chunk of her marriage — in the shadow of her erotically-charged older sister Brooke Logan (Katherine Kelly Lang). 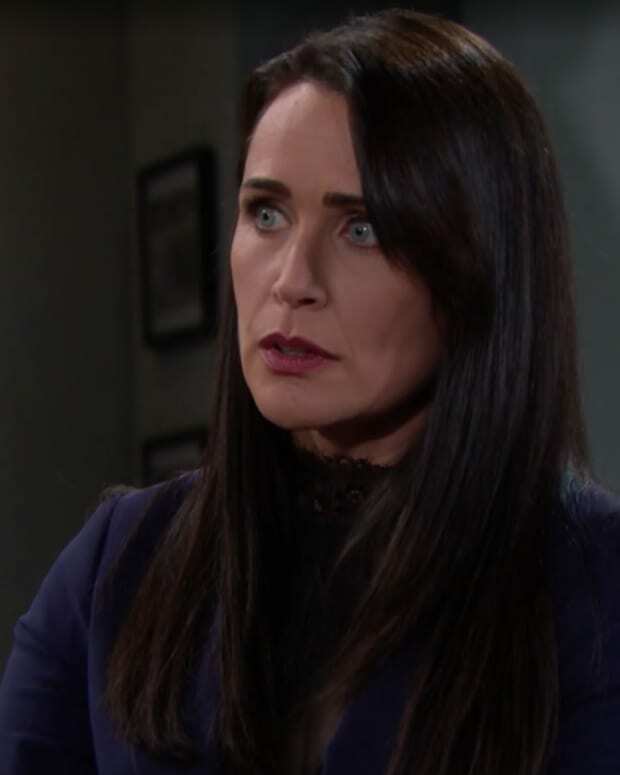 This week on The Bold and the Beautiful, the former tomboy asks her husband if she&apos;s enough woman for him, or is Dollar Bill (Don Diamont) still longing for Brooke&apos;s bedroom? As Katie&apos;s rampant insecurities continue to consume her, Quinn (Rena Sofer) is desperately trying to keep the twisted playhouse she&apos;s built with Liam (Scott Clifton) from crashing down around her. Can Deacon (Sean Kanan) talk some sense into his ex-wife? RELATED: Quinn to Amnesiac Liam on B&B: "I&apos;m All You Will Ever Need"
For what it&apos;s worth, Quinn&apos;s plan to keep an amnesiac Liam away from Steffy (Jacqueline MacInnes Wood) seems to be working. The fashion heiress continues to grow closer to Wyatt (Darin Brooks). If only Steffy knew her new lover&apos;s mother was hiding her ex-fiance in a cabin. Say that three times fast! As for Ridge (Thorsten Kaye) and Caroline (Linsey Godfrey), the happy couple will be playfully discussing if they&apos;re having a boy or a girl this week. Isn&apos;t that cute? Ridge wants to know if he should be giving out blue or pink cigars for her first grandchild. Check out this week&apos;s B&B promo below! SPOILERS: Bill and Ridge Discuss Brooke on Bold and the Beautiful!